Kernow Coasteering is Cornwall’s (and the UK’s) most westerly coasteering centre. Come and take a coasteering tour with us for a taste of life on the edge and a chance to experience the stunning Cornish coastline up close and personal. 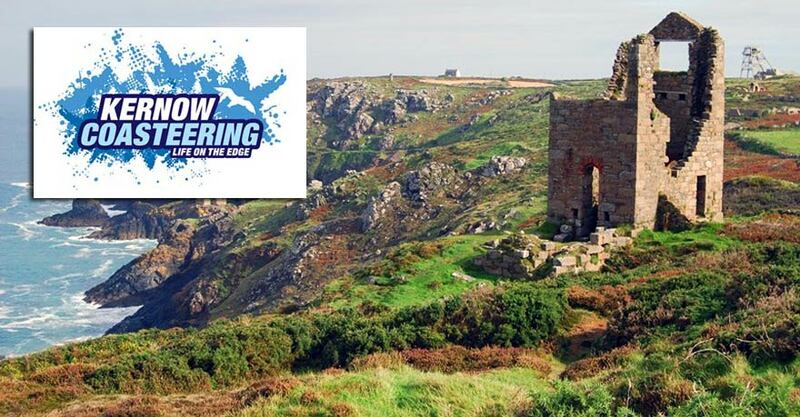 We are based In Penzance and have numerous awesome coasteering locations right on our doorstep. 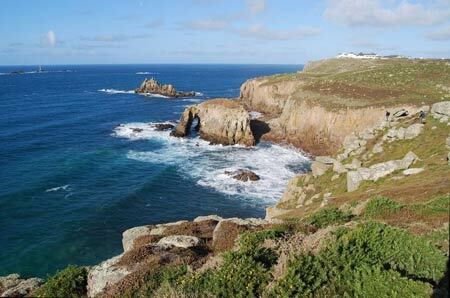 The awesome granite cliffs around Lands’ End form some of the best coastline in the country, and an adventure with Kernow Coasteering will give you the ultimate way to experience it. 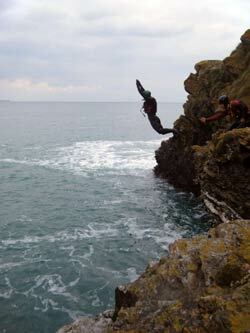 Coasteering is the UK’s fastest growing adventure activity, and once you try it you will see why. Come and have the most fun imaginable as you combine swimming, scrambling, climbing and cliff-jumping to explore the coastline. 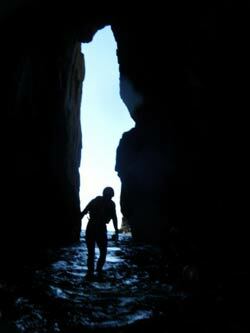 Discover cliffs, caves and hidden coves even the locals don’t know about! Witness coastal wildlife and incredible geology, get close to nature and push your own limits as you traverse an amazing stretch of coastline. If you’re staying in Penzance, St. Ives or the surrounding area, or just heading West Cornwall for a day trip, be sure to give us a call! 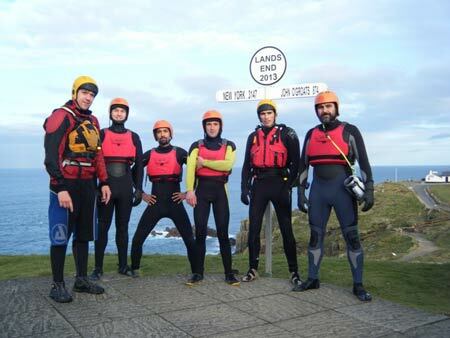 KERNOW COASTEERING - WHAT DO WE NEED TO BRING? We are available all year round and you will be provided with a warm, winter wetsuit, a helmet and a buoyancy aid to let you enjoy the Atlantic Ocean in maximum safety and comfort. 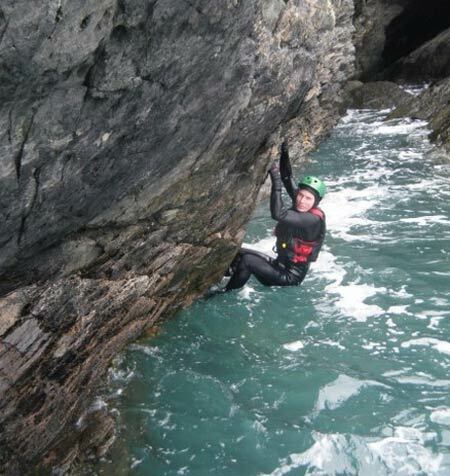 Coasteering requires no previous experience, and our qualified guides will lead you safely through this challenging and exhilarating environment. To coasteer you need to be able to swim 50m unaided in a swimming pool and be at least ten years of age. If you are under 18, you’ll need to be accompanied by a parent or another adult who will take responsibility for you. Participants do need to bring their own footwear they can use for coasteering, such as a pair of trainers, wetsuit boots or canyoning shoes. 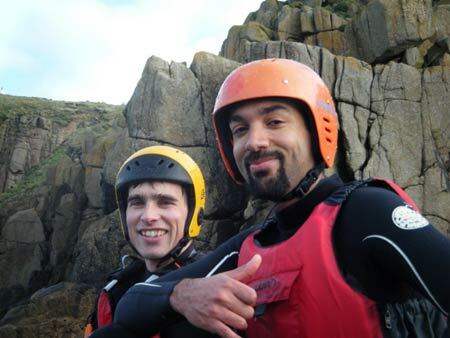 A coasteering session costs £35 for an adult and £25 for a child (under 18). 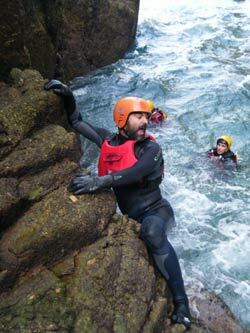 A coasteering session will typically last 2-3 hours, plus time to meet and get changed.